New vessel will offer fuel savings of around 30 percent or more, says fishing firm. Seattle-based fishing company, Blue North, has announced that it has signed a contract with Dakota Creek Industries in Anacortes, Washington, to build one of the most environmentally friendly and technologically advanced fishing vessels in the world. The innovative 'green' boat - which will be completed in the fourth quarter of 2014 - was specifically developed for the Alaska cod hook-and-line fishery, and was designed by Skipsteknisk AS, a Norwegian ship design firm. Blue North holds an option to build a second vessel starting late in 2013. "One of our main objectives in designing and building this vessel is making absolutely certain that we move forward in a way that is environmentally sensitive and thoughtful," said Patrick Burns, Vice President at Blue North. "We recognize, accept and embrace our responsibility as stewards of sustainability in everything we do at Blue North." The new state-of-the-art Blue North fishing vessel are said to offer five key environmental and safety advantages. First, the new Blue North vessel will offer lower emissions and fuel savings of an estimated 30 percent or more, versus conventional designs. The vessel will be cleaner, thanks, in part, to the unique use of diesel electric twin-bladed dual-azimuth propulsion. The boat will also be one of the first fishing vessels in the United States built to meet new Tier III emissions standards set by the Federal government. Another factor behind the vessel’s strong fuel-and-emission credentials is the fact that it will be built with a molded or formed hull, which has a more efficient flow through the water because of decreased resistance. The new Blue North vessel will be the first purpose-built hook-and-line processing vessel in the United States to have a molded hull. Second, the boat will deploy hook-and-line gear, which means that one fish will be caught at a time, with a focus on quality, as opposed to quantity. The benefit here is that the small lines leave a greatly reduced environmental footprint on the bottom of the ocean, compared to other gear types. Third, the boat will be constructed with an internal haul station – a first in the United States. In terms of sustainability, the internal haul station assures the careful release of non-target species. And, in terms of safety, the internal haul station allows all vessel personnel to accomplish their work inside the boat. Fourth, the boat will efficiently utilize proteins that currently go to waste, with the ultimate goal of 100 percent utilization. That said, the new Blue North vessel is not focused on catching more fish; instead, its onboard processing facility will use more of the fish that are caught. To accomplish this, every consumable product will be retained – including the liver, stomach, roe, milt and head. Currently, many hook-and-line fleets that process onboard only use the dressed fish, or 50 percent of the entire weight; the rest of the fish is ground up and discharged overboard, due to a lack of space, refrigeration capacity or onboard labor. "This present practice is extremely wasteful and inefficient," explained Kenny Down, Blue North’s President and CEO. "We believe we can implement significant processing changes that will make considerable sustainability and efficiency differences." Fifth, the new Blue North vessel will greatly enhance the safety of life at sea. 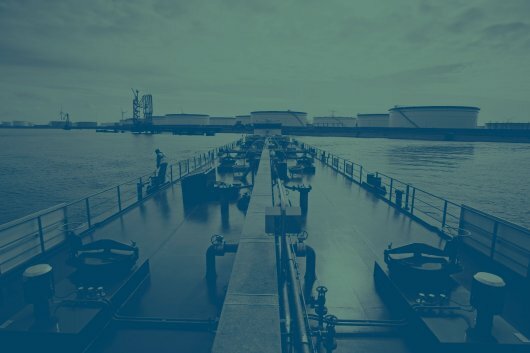 Its internal haul station means that crews will no longer be exposed to rough seas and freezing temperatures for hours on end, and the risk of falling overboard during hauling is negated. In addition, the vessel is built with a heavily weighted box keel design, to keep weight low, as well as an anti-roll tank; these features combine to provide an extremely stable working platform and further enhance the safety factors and crew comforts designed into every detail of the vessel. Blue North’s new boat will be designed to produce boneless cod fillets, cod loins, and a host of vacuum-packed consumer-ready cod products on board. Each fish will be individually handled, immediately processed, and frozen within minutes of processing. In addition, Alaska hook-and-line cod has been certified by the Marine Stewardship Council (MSC); and it’s been designated as a “Best Choice” by the Monterey Bay Aquarium’s Seafood Watch program. Looking around the world, Blue North products will be sold in traditional global markets that appreciate the difference in quality offered by hook-and-line-caught fish. These markets include Japan, Norway, France, Italy, Spain, Portugal and Brazil. For its part, China has begun to demand more of this product and is expected to become a major force in the consumption of high-quality hook-and-line fish in the future. The implications for the United States economy are positive, too. In the coming years, Blue North’s sustainable next-generation fishing vessel is expected to help drive domestic consumption and exports, in addition to creating much-needed jobs here at home. Maria Cantwell, U.S. Senator from Washington state remarked: "Today's announcement of a new fishing vessel for Blue North is great news for our fishing and shipbuilding industries. This construction will support shipbuilding jobs in Anacortes while adding to a strong legacy of building cutting-edge fishing vessels in Washington state. I was proud to write and help pass legislation into law in 2010 that gave freezer longliners the stability they needed to invest in new vessels and grow their businesses. I congratulate the skilled workers at Blue North and Dakota Creek Industries for their innovative work on this state-of-the-art vessel that helps grow our maritime economy."